I like the fact it is made by Stearns and Foster which is the same as the mattress have. Excellent quality. Was a little softer than thought but a very comfy pillow. If you own a mattress made by Stearns & Foster®, you deserve the best pillow possible! With a soft luxurious 400 thread count cotton, combined with an ultra loft 600 Fill Power white down and USA sourced feather fill, you will have a pillow worthy of your mattress. The outer down chamber is the perfect soft and lofty compliment to the inner chamber filled with supportive natural feather, perfect for any style of sleeping position. Sink in and wake up rejuvenated. Unparalleled design completes your bedroom and complements your decor and style. 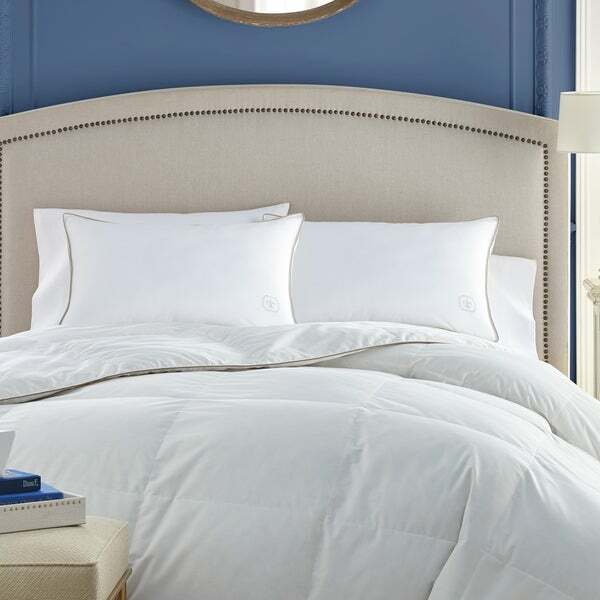 Our bedding is created in a contemporary design with care and attention to provide your best night's sleep. Dimensions 27.0 In. X 19.0 In. X 4.0 In.